Precise tuning. Every musician knows that this is vital in ensuring their sound is the best it possibly can be. Any decent bassist knows that an otherwise brilliant performance or recording can be ruined by their guitar being even slightly out of key. The solution to this has arrived. 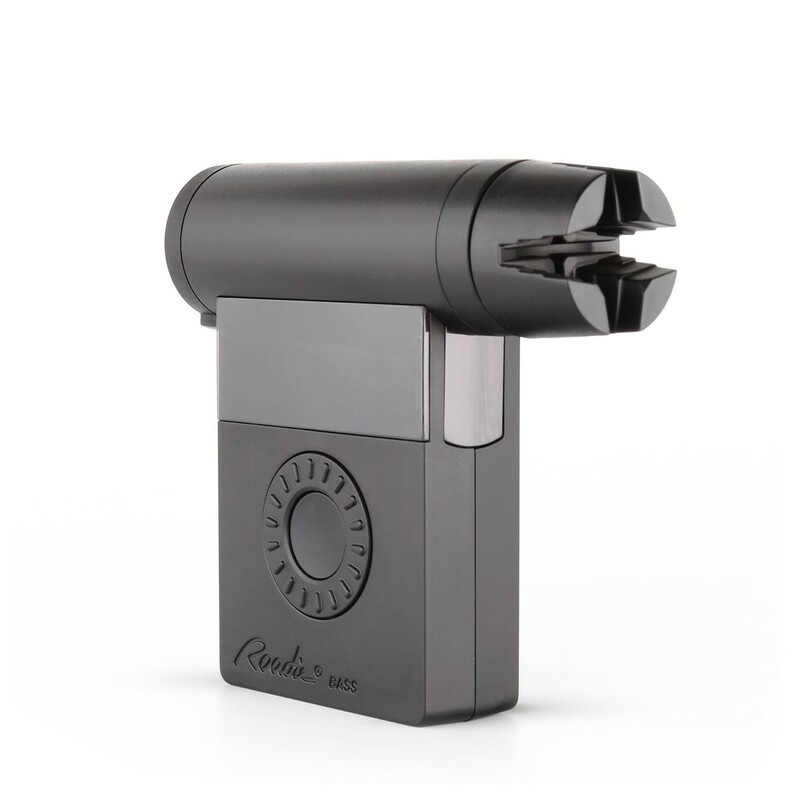 The Roadie Bass Automatic Bass Guitar Tuner is the tool you need to ensure that your bass playing is always pitch perfect. Embrace your most flawless tuning ever. The Roadie Bass will pick up on even the tiniest frequency changes in your bass' tuning to give your strings perfect tone. It'll ensure that every note you play sounds outstandingly accurate. It's super quick too - the Roadie can tune your bass in just 30 seconds. This makes it the ideal companion for your bass guitar, on the road and in the studio. Sound sharper than ever. 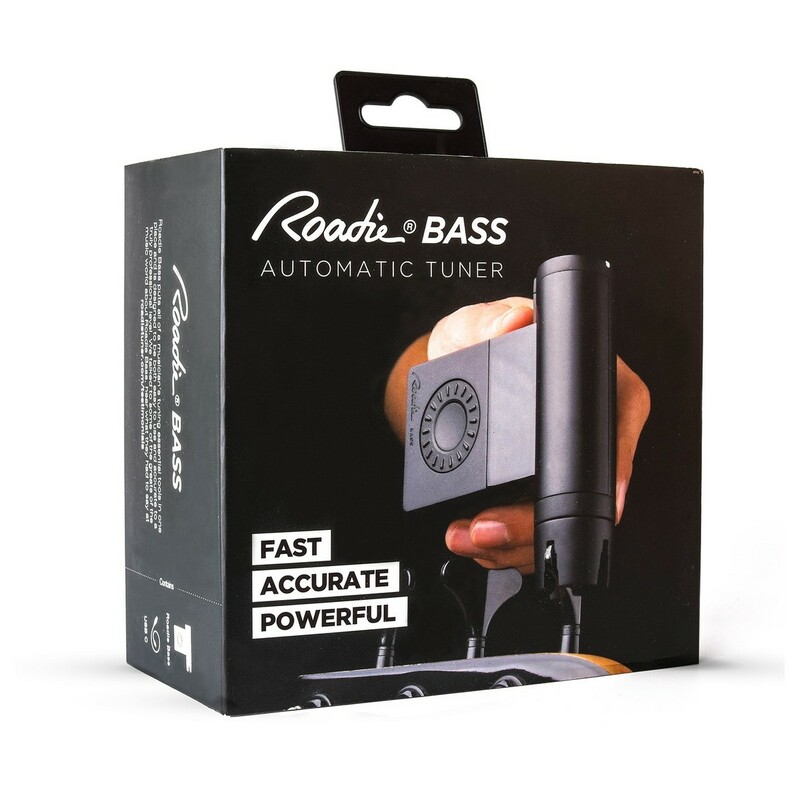 The Roadie Bass Automatic Tuner's remarkably advanced audio technology delivers you with perfect tuning every time. Never again will you suffer through having to spend ages turning and tweaking your tuning pegs to find accurate pitch. Audio algorithms detect your tone, and the Roadie's automatic winding feature turns the pegs for you until it finds the flawless tuning you've always dreamed of. This will give your basslines more crispness and precision than you've ever had before. 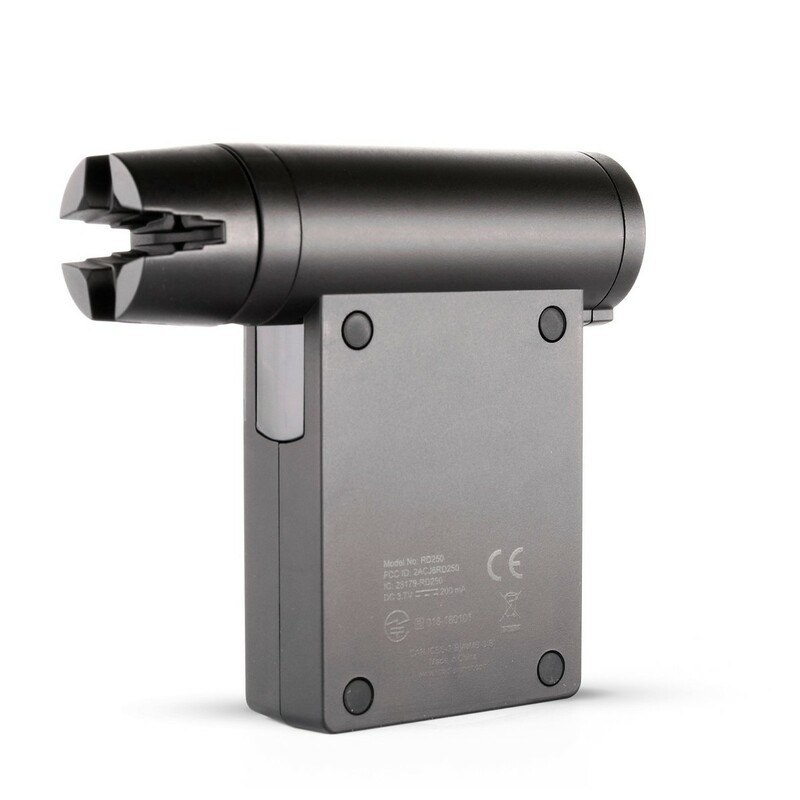 Ideal for recording with matchless accuracy. Brilliantly versatile. 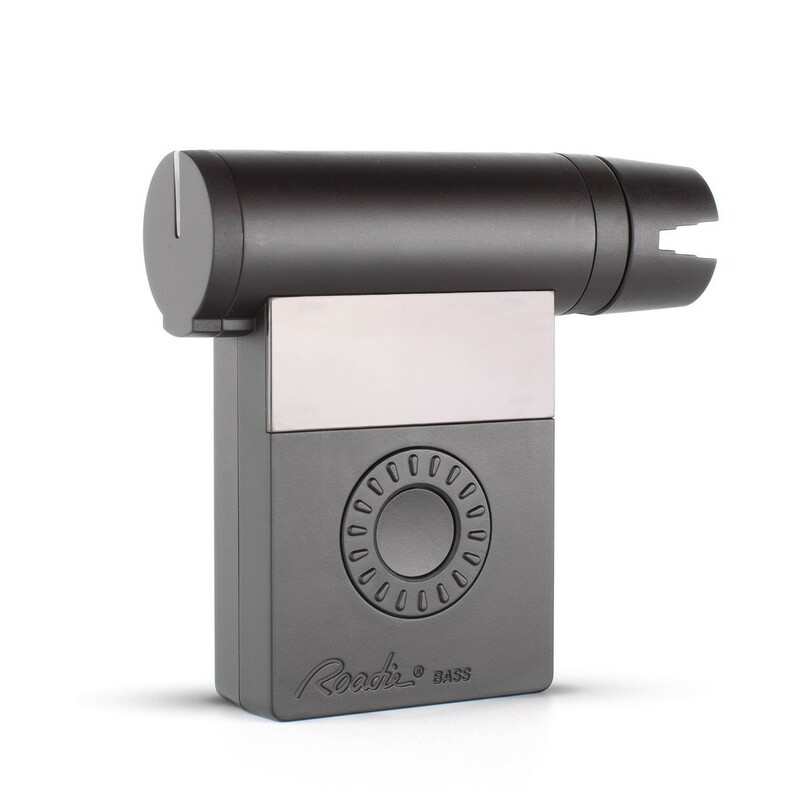 You can tune even the stiffest of bass guitars using the Roadie. The tuner's powerful motor has the strength to turn the toughest of tuning pegs. It'll even work on other instruments, too. Acoustic, electric, and classical guitars, 12-strings, ukuleles, banjos, mandolins, and more can all be tuned by the Roadie. Flawless key for all of your stringed instruments. The Roadie Bass is packed with a ton of features that make it the ideal tool for live performance. Firstly, you'll be able to tune your guitar with simplicity and lightning speed. It takes the Roadie just 30 seconds to get your bass in perfect key. This makes it superb for tuning up between songs when you need to improve your sound quickly. From a single charge, it'll tune up to 150 strings, meaning you can use it gig after gig before needing a recharge. You'll benefit from gigantic variety of choice, too. The Roadie comes with over 40 preset tunings for you to choose from, meaning you can experiment with a range of different styles and sounds with total ease. Add even more tunings with the Roadie Tuner app, allowing you to customise your own exact settings for your bass. Finally, it'll also work in loud environments. The tuner's built-in vibration sensor detects the exact tune of your instrument, without being confused by background noise or interference. Thanks to this, it's ideal for tuning up during gigs. You really shouldn't go out on tour without one. Dimensions: 3.6" x 3.1" x 1.2"